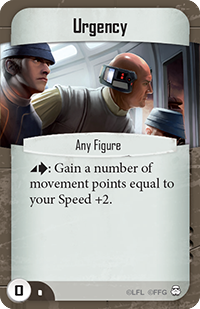 Through the skirmish games of Imperial Assault, you can take your own place in the Star Wars saga as the leader of a highly trained strike team. From mission to mission, your objectives may vary. You may infiltrate an Imperial facility, smuggle cargo across the wilderness, or fight for control of experimental weapons. Of course, it’s not going to be simple—there’s always another strike team on site, trying to accomplish the same goals and fighting to stop you by any means possible. Last time, we welcomed Zach Bunn of Team Covenant to give an overview of the Rebel faction, exploring some of the faction’s best builds and strategies as you train for the 2016 Imperial Assault World Championships. 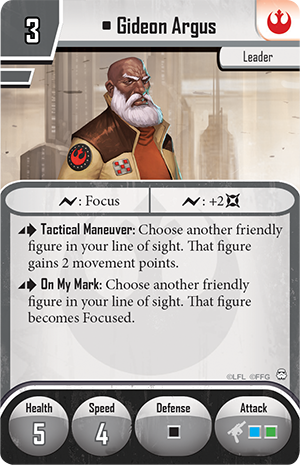 Today, Zach finishes his series of faction reviews with a look at those who only swear allegiance to the highest bidder: the galaxy’s Mercenaries! 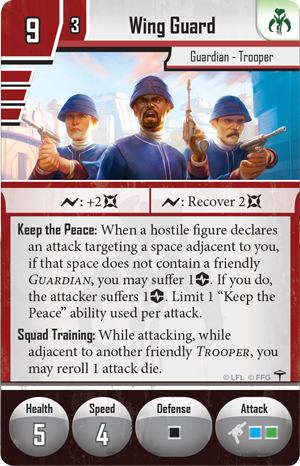 Continuing our journey through the three factions of Imperial Assault, we finally arrive at the most dangerous and unpredictable characters in the galaxy… the Mercenaries! 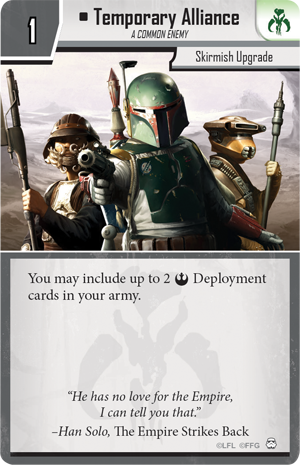 The faction ranges from iconic characters like Boba Fett and Bossk all the way to obscure and interesting creatures and beings, like Bantha Riders and Hired Guns. Today, we dive in to see what makes this faction tick, other than a hefty bounty! For a long time, the Mercenaries weren’t all that popular at tournaments. They never seemed to have the right tools to be competitive. 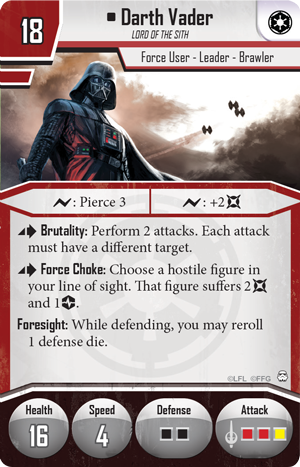 Over time and with expansions, however, they’ve gained access to enough tools that they offer some of the strongest squads in the game! 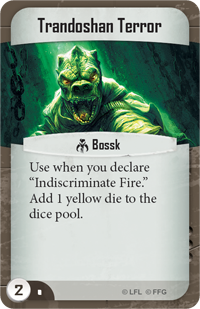 The first addition that helped to mold them into a competitive machine is Bossk. He’s so good, in fact, that I find it difficult to find a better eight points in the entire game! 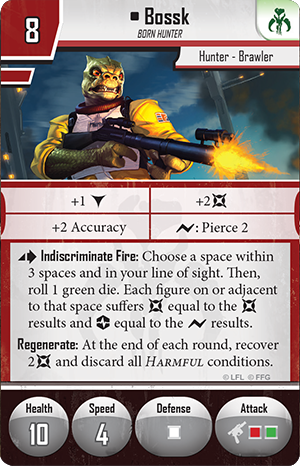 On top of being well worth his points, Bossk fits perfectly with the cadre of Mercenary strengths, which makes him a perfect starting point for any list. For quite a while, the HK Assassin Droids were also among the go-to units for the Mercenary faction. 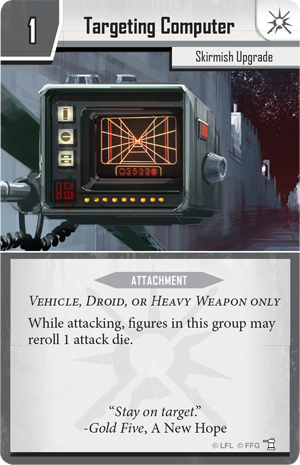 With the ever-expanding list of options, however, the HK Assassin Droids now seem to fill a role similar to the Rebel Saboteurs that I mentioned in the last article. 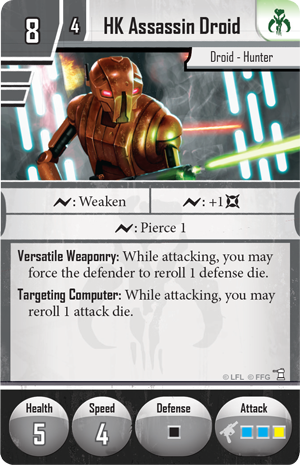 As a unit, the HK Assassin Droids are worth playing, but they’re certainly not required. At fourteen points, you are left with twenty-six points left to fill with wild and wonderful Mercenary units. 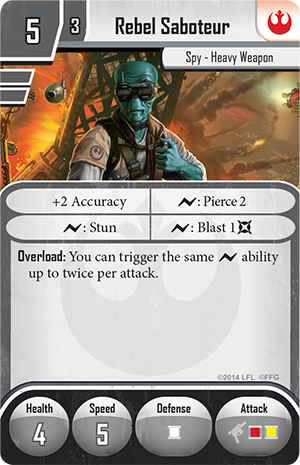 Here, I want to take a look at two of the strongest archetypes for the Mercenaries and in the game, both featuring this core! 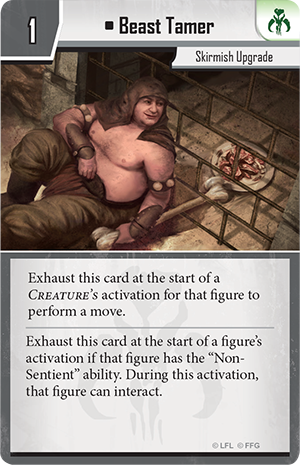 With the most recent releases, the Mercenaries gained a particularly notable skirmish upgrade: Under Duress. 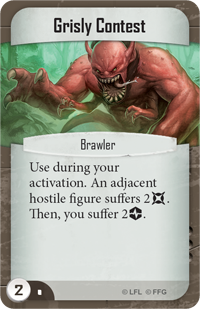 This upgrade essentially doubles the strain your opponent suffers by forcing him to discard two Command cards instead of one when he wants to avoid taking damage. 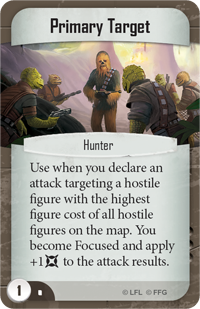 This extra strain takes previous units that focused on strain, like the Trandoshan Hunters, to an entirely new level and forces a completely new evaluation. Below, I’ve outlined a squad that takes advantage of all this extra strain. 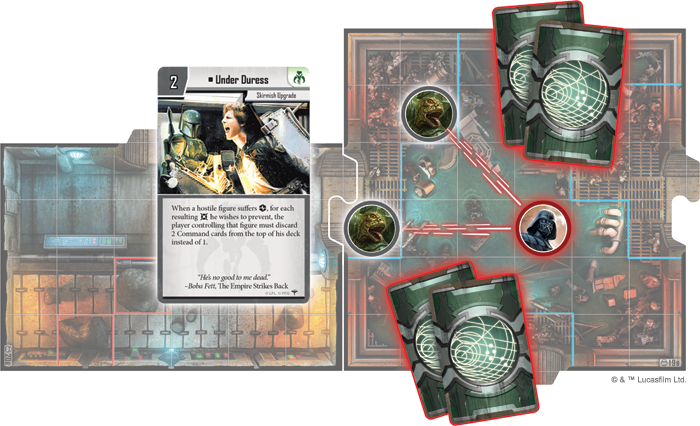 A quick spin with it in a skirmish game will quickly reveal just how fast your opponent’s Command deck can disappear! 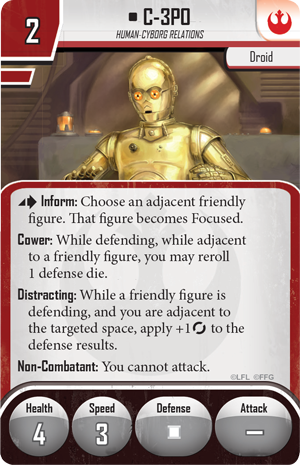 This list has a nice balance of activations, units to use for objectives, and the ability to inflict some non-strain-related damage. 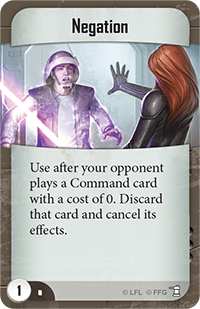 Until you’ve seen it in action, it may seem hard to believe that you can deplete your opponent's Command deck in time to make it relevant. It’s more than feasible, though. 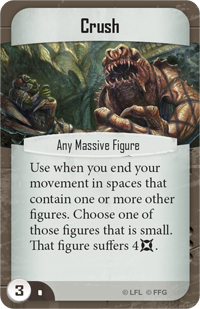 A fifteen card Command deck gets very, very small with the amount of strain this list pumps out. 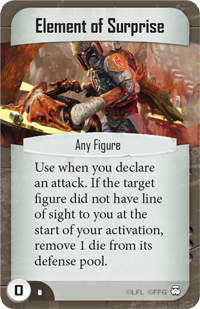 Two Trandoshan Hunters attack, forcing the Imperial player to discard four cards from his Command deck or suffer extra damage! There are a lot of great Hunter command cards and more are being added with each release! 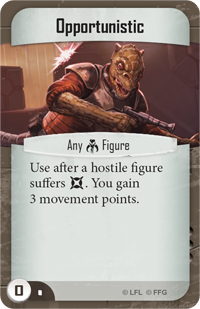 I am hit-or-miss with Trandoshan Terror (Bossk’s personal Command card) and it just goes to prove that character-specific Command cards aren’t always automatically included. 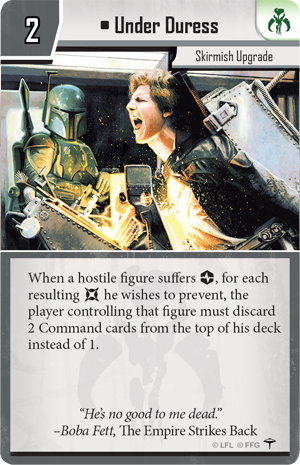 You can tailor your Command deck to fit the meta, but there are a ton of options for this list! Now, let’s take the core and go a totally different direction, shall we? This squad drops strain and replaces it with sheer offensive output. 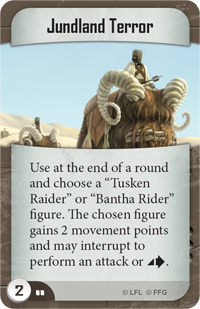 Focused HK Assassin Droids can hit targets from an unbelievable distance, while you’re threatening massive damage with your Bantha Rider, including giving it extra movement through Beast Tamer. 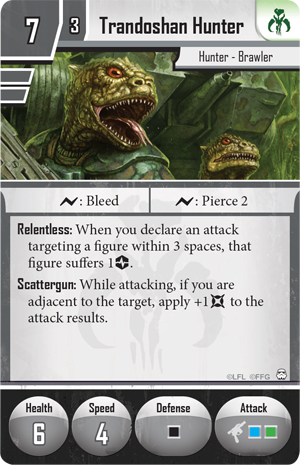 Bossk acts as the second prong to your attack and isn’t afraid to get up close into the fray. 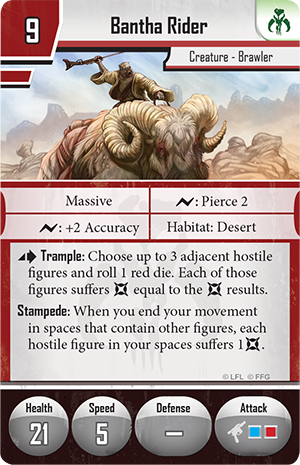 When it comes to the Command deck, I have more specific recommendations than with the first list, as the Bantha Rider requires more support. Your meta will always help to inform your decisions, but this is a solid start. 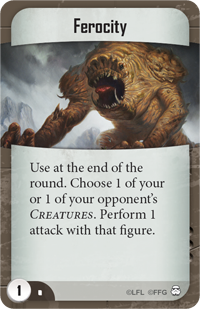 This list is very difficult to deal with and from the start of the game your opponent has to make difficult decisions. The HK Assassin Droids’ long range attacks paired with the hand-to-claw combat of the Bantha Rider and Bossk is too much for many armies to handle. One important point though: this list in particular has to be careful with certain missions, because they only have a limited number of units that can safely interact with objectives. 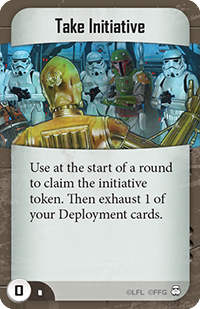 The Mercenary faction is the perfect example of how the game designers can create new cards that almost necessitate revisiting the original releases. 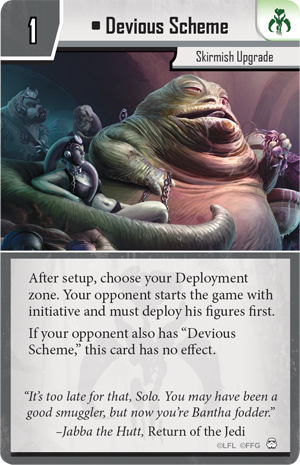 The meta will continue to shift and the Mercenaries won’t be left out when it comes to Jabba’s Realm, so be prepared to reevaluate again later this year! 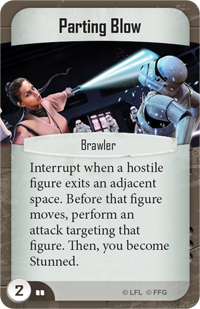 It’s quite an exciting time to be an Imperial Assault player and if you haven’t gone back to look at some of the earlier releases in a while, I highly recommend it! Until my next article, may the Force be with you all!